Create polls and surveys with our free polling apps. 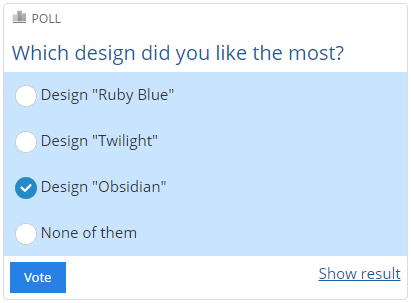 You want to create your own polls? Xoyondo offers two types of polling apps that you can use to create your own polls. Opinion polls and anonymous polls. 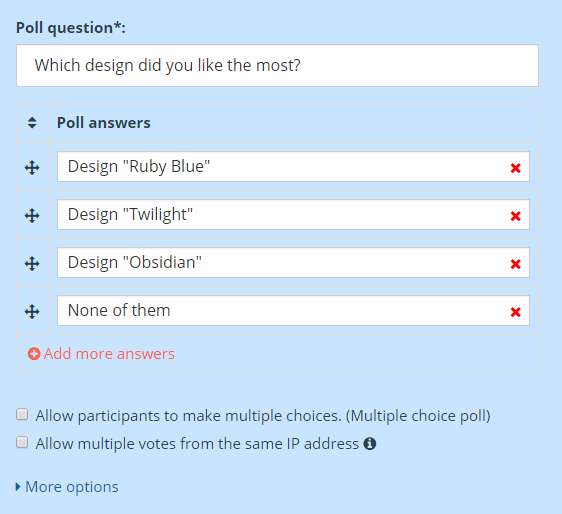 Create an opinion poll if you want to see which participants voted for which option. Choose anonymous polls instead if the voting should be confidential. Opinion polls are simple polls that are easy to set up. They are especially useful when a choice needs to be made and you want to involve a group of people in the decision process. Unlike usual polls you can see who voted for which option. Let's have a closer look how this type of poll work. Meet Linda. Linda is owner of the local dance studio and wants to organize a special event for all of her clients. She would like to know which dance style her guests prefer for that evening so that she can plan the rest accordingly. She decides to create a Xoyondo poll online. 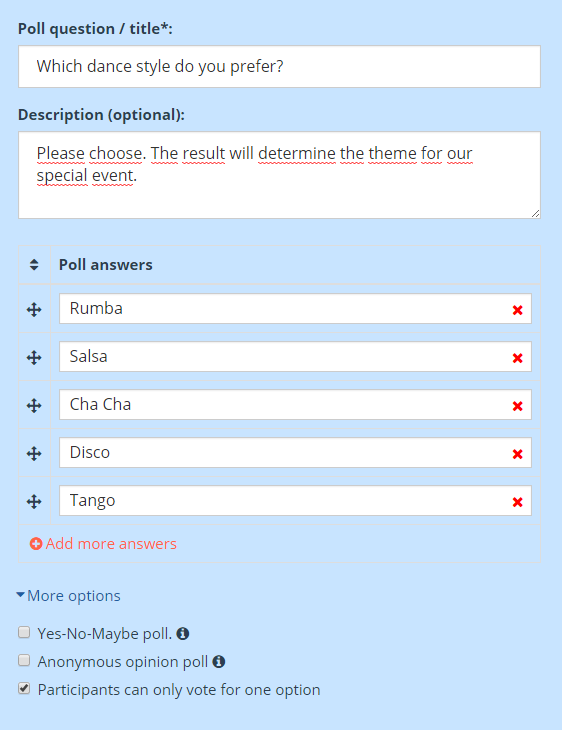 Linda provides the poll question and description and specifies a few options her guests can choose from. Since the participants should not be able to vote for more than one option Linda activates the corresponding option in the setup. That's it. Linda's poll is ready. Now she has to invite the participants to her poll. There are two links to her poll. One for the participants and one for her as administrator where she can edit the poll and manage the votes. Linda distributes the participants link via email and waits for the votes to come in. When Linda checks her poll again four of her clients already voted. It might be too early to say, but at the moment it seems that they are all having a Salsa night! Anonymous polls are the right choice if you don't want your participants to see each others votes and if it is also not necessary that you know who voted for which option. Participants vote without entering theit names which guarantees complete anonymity. With Xoyondo's polling apps you can easily setup such polls. Let's see how it works. Meet Brian. Brian works in a design studio and recently proposed three potential logo designs for a new client. After he presented his work he did not get a clear feedback which design his coworkers consider the best. Therefore he set up a survey online on Xoyondo. He specifies the question and possible answers. That's all. Brian invites his coworkers to his poll via email and waits for them to vote. Then he finally has an objective opinion about his logo designs. Try it yourself! Create your own polls with Xoyondo's polling apps.